Love isn't supposed to be this hard. Now that he’s finally won Jill, the girl who's always rocked his world, you’d think life would be heaven on earth for Shinta Mori. In a way, it is. But maybe he’s underestimated the fact that he’s a hunky movie star in Japan while his girl is ruling the indie music scene all the way in Manila. When he spends a long-awaited vacation with her--through impromptu performances, frenzied flyer distribution, and unhinged radio guestings--he realizes how imperfect his seemingly perfect life is. And he begins to wonder if what they have is strong enough to survive years of being apart. Can Shinta prove he’s worthy of the spotlight the universe shines on him? And more importantly, deserving of the devotion of a young girl in love? 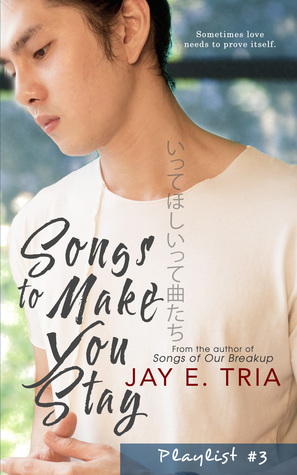 Songs To Make You Stay is the third book from the Playlist series, I was excited to read this since I am really curious as to what will happen to Shinta and Jill. I could personally relate on this book, long distance relationship, busy work schedule and dreams. Shinta being a Japanese actor is a busy man and he only visit his family and girlfriend. 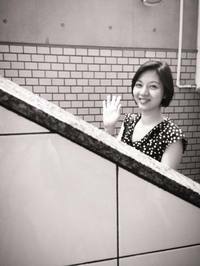 Jill on the other hand is a band member and she's been traveling with her band mates for their gigs. The book is simple to read, very straight forward but you'll enjoy every part of it. It gave me different emotion while reading. The story twists makes my heart aches. Especially that one scene.. I almost cry to be honest. Playlist series won't be the same without these characters. AND!!! readers must look out for the songs written on this book! The lyrics are lovely! Hi! I'm a writer of contemporary Young Adult and New Adult romance. These days I'm writing paranormal/fantasy too, and it's a fun exercise. I'm often inspired by daydreams, celebrity crushes, a childhood fascination of Japanese drama and manga, and an incessant itch to travel.